Pale & Interesting - Atlanta Bartlett and Dave Coote. Tuesday… whew! Glad the week is moving on. Still gray and cloudy outside so a little pick-me-up was needed. Discovered this little online boutique shop today: Pale and Interesting. It features not only gorgeous furniture and home accessories but jewelry as well. Isn’t it so delicate and pretty? A little J.Crew I think… I found the site through Dave Coote – who’s photography made me weak in the knees. I’ll be posting some of his work tomorrow. For all you lucky people living in the UK, you can buy off the site. As for me… I’ll be gazing from overseas (I’m sure the shipping is pricey). Till then friends! 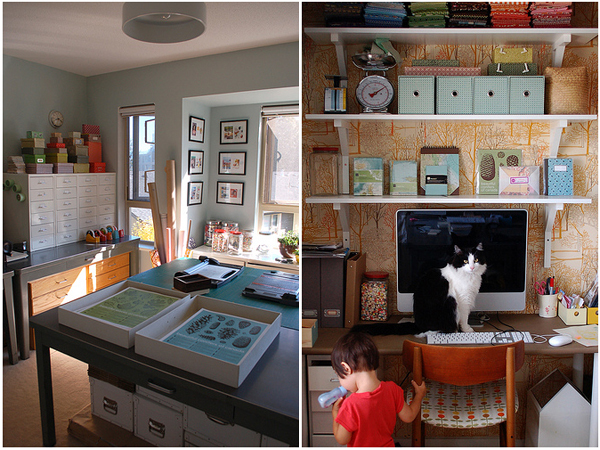 …with this office space from LovelyDesign’s photostream on flickr. 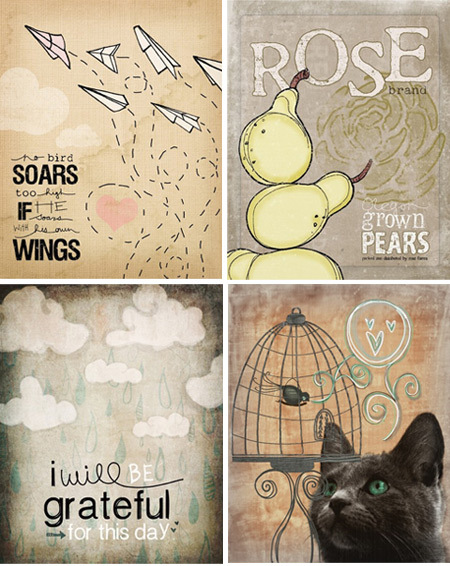 Check out the rest of her pics on her space – so lovely! How does she get her kitty to pose so well for photos?? Hmm…I think the Container Store and I have a date this weekend. ** Side note: If you haven’t been to the container store before and this room really appeals to you – you need to go!!!! !